First half of the year statistics are in. 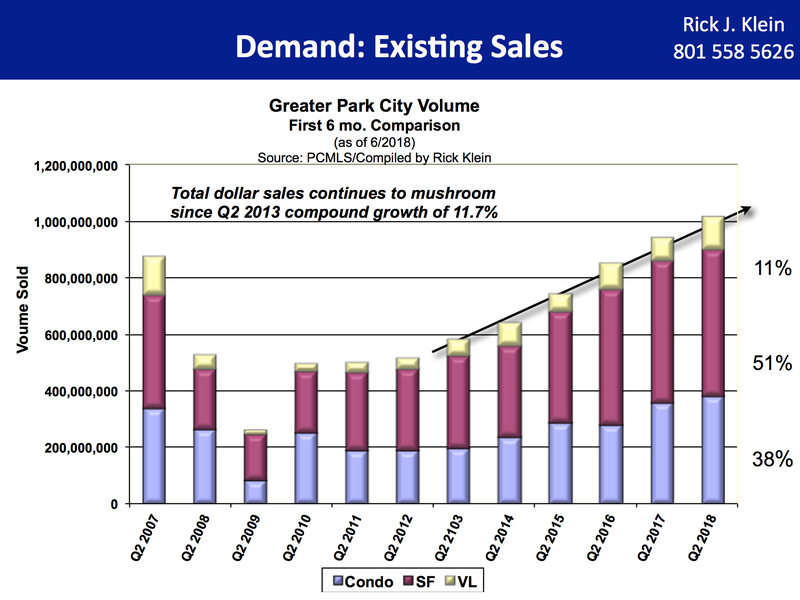 First of all, many thanks to Rick Klein at Wells Fargo Mortgage, for sifting through all of the Park City housing data and summarizing it into these wonderful slides. If you would like to view all the slides compiled by Rick for Quarter 2, please contact me and I will email them to you. Of the more than 40 slides, I have included the ones that I think best tell the story of our market. 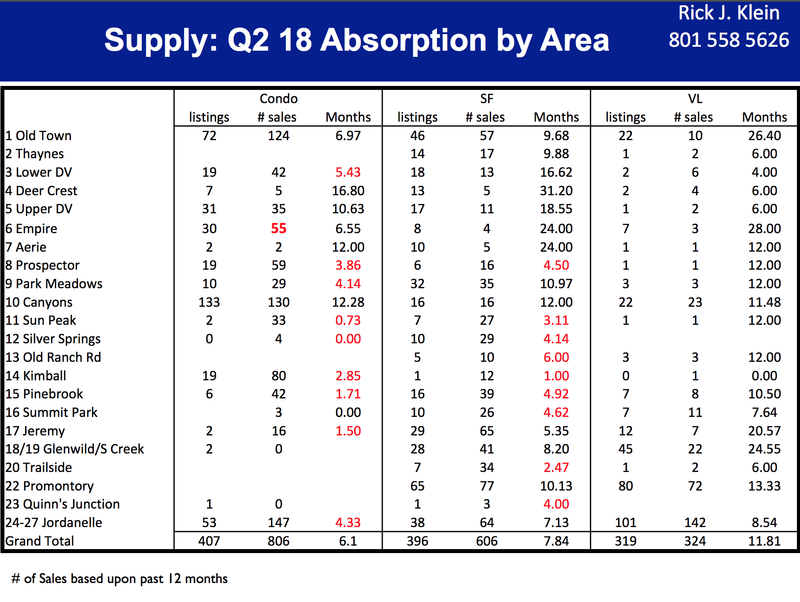 Low inventory in Park City and in the entire country has meant demand is stronger than supply, which has consequently driven home prices up. This accounts for a decreased number of sales but a higher dollar volume. 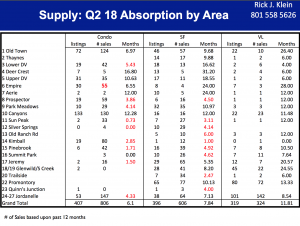 Inventory in our market varies based on neighborhood and is always changing. The slide below shows the “absorption rate”. This is the number of months it would take for the current inventory to sell given the rate of sales. The areas in red are a sellers’ market, with low inventory. The areas in black are a buyers’ market. It is interesting to note that the red areas are almost exclusively in the most affordable Park City housing markets. 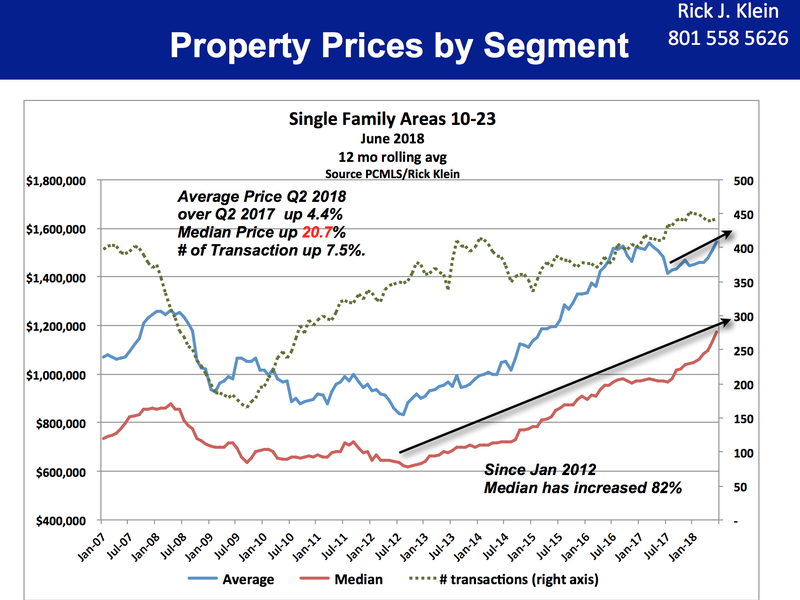 Since 2012, the median home price within Park City limits (84060) has risen 93%. 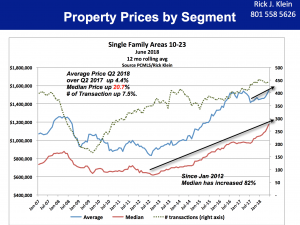 The median home price for the Snyderville Basin, including Promontory (84098), has increased 82% since 2012. 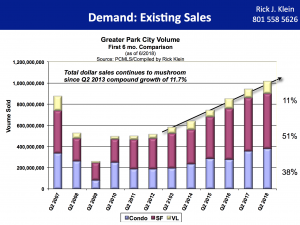 Clearly, 2012 was the best year to be a buyer in Park City! 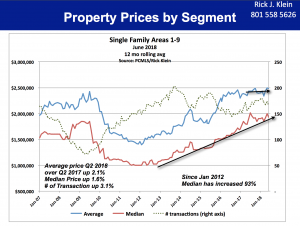 It is doubtful to me that such increases are sustainable and we will see prices level off in the coming year. 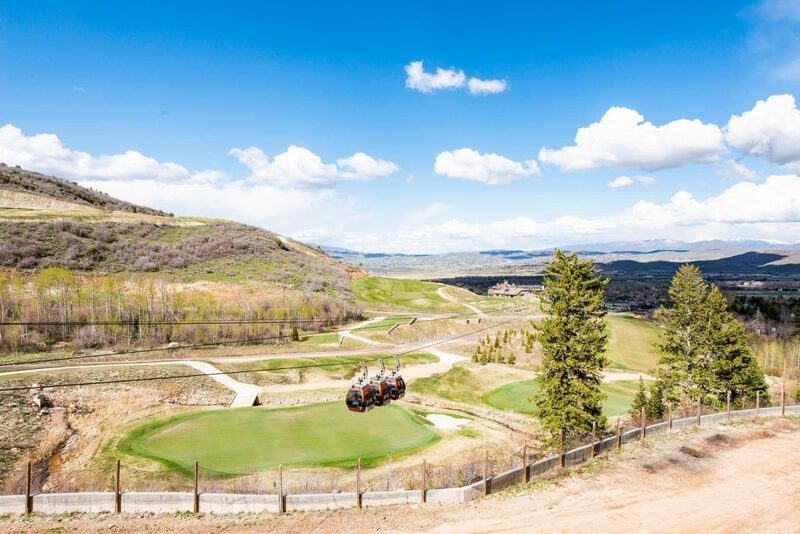 If you are thinking about buying or selling real estate in Park City, you should definitely consult with an expert who has an understanding of the nuances of the Park City real estate market. I am constantly looking for the “bellwether” signs to see the direction the market is moving. I attend real estate conferences around the world and network with agents in other cities and resort towns to gain a grasp of the market forces that impact Park City’s real estate market. My blog readers, who are friends and clients, know that I have a passion for real estate and love to talk about it. Please feel free to give me a call and we can discuss your real estate thoughts and questions. 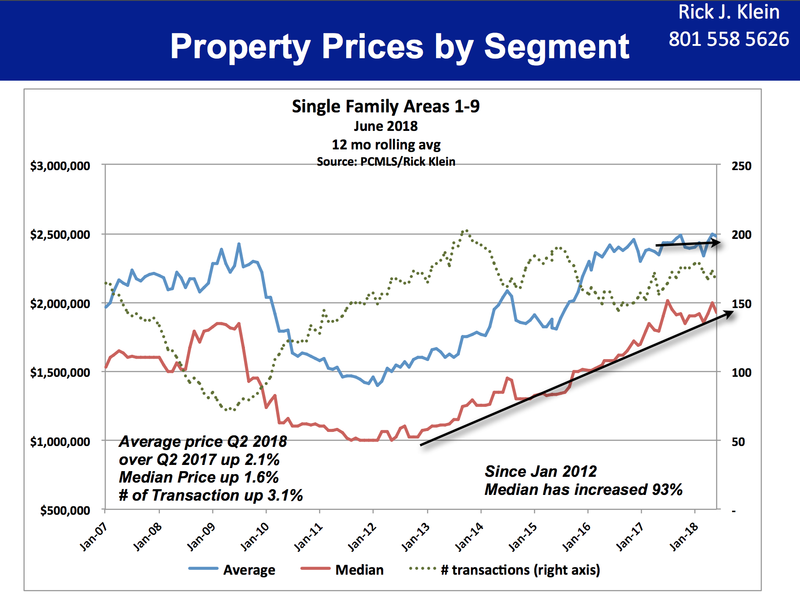 From a financial point of view buyers and seller may want to consider the impact on housing prices when the Federal Reserve moves on its commitment to bumping up interest rates another 3-4 times in the near future. Of notable concern are the repercussions to homeowners with adjustable rate mortgages (ARMs). will face. Those homeowner may find that now is the time to list and sell if interest rate hikes will affect the affordability of their current mortgage. While the Fed may redact their commitment to interest rate hikes, homeowners must take heed.